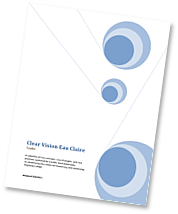 The Clear Vision Process incorporates important core concepts, practices and exercises. Action Teams will use these skills as they create and carry out their action plans. Session #4 introduces additional skills, followed by team discussion using those skills to begin action team planning. Coaches have been assigned to each Action Team. The role of the Coach is to facilitate the team’s discussions during Summit work sessions; coordinate additional meeting schedules and agendas; and help team members utilize the Clear Vision Process skills to develop an achievable action plan. They also serve as recorders to document the team’s discussions and decisions. At the next Summit session, each Action Team will choose two Co-chairs. Co-chairs will work closely with Coaches through the rest of the Summit sessions and ultimately take over responsibility for Action Team meetings and assisting team members in using Clear Vision skills to develop and implement their Action Team work plan. Co-chairs will be a primary communication contact to keep their team connected with Poverty Summit coordinators and with other Action Teams. It is important to understand that there are different perspectives on poverty. In the United States, two perspectives dominate: Individual and Structural. However, a third perspective – Human Rights – should also be considered. The group heard a brief explanation of Individual, Structural, and Human Rights perspectives. They are compared here. The Universal Declaration of Human Rights, passed by the United Nations in 1948, further explains core concepts of the Human Rights perspective. Previously, participants used the Values House Meeting to identify important personal values and then prioritize those values as a team. They discussed threats to these values and possible actions – or opportunities – to address those threats. Now, each Action Team will look back at the threats and actions they previously identified and prioritize those lists. This exercise can help Action Teams identify issues to consider as they move toward creating an Action Plan. Like most Clear Vision exercises, it starts with individual reflection. Each team member thinks in terms of their poverty theme (for example, Access to Resources) and lists issues that exist in the “World As It Is.” It is helpful to be as specific as possible about negative consequences. An example is: homelessness → lack of safe overnight shelter. After creating personal lists, team members share their ideas. As they share and discuss, the Action Team is able to eliminate duplicates, combine issues that are similar, reword to help clarify, and perhaps delete some issues that seem less relevant. Each Action Team concluded their group discussion with Public Evaluation – that word or phrase that reflects each person’s feeling following tonight’s Summit session.